Two years in the making, this adorable set of bride and groom gnomes is finally coming to Spring gardens & June weddings! The perfect wedding garden gift, housewarming gift, and anniversary gift for any loving that thought they had everything! 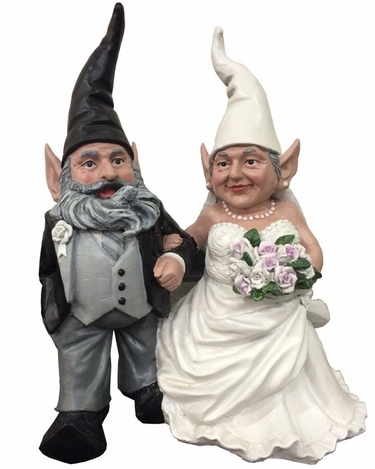 These bride and groom gnomes are sold as a single unit. Size: 15" Wedding Gnomes, Cast Resin.